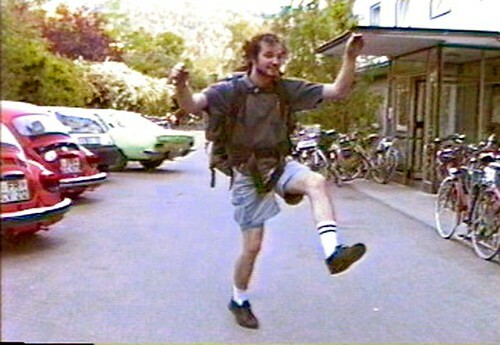 Excited to be on the road again, 21 year old Alan heads off to the Freiburg train station with his backpack and a spring in his step... This is a blurry vidcap. I'll have to upload the video to YouTube at some point. I should have tackled him and taken the socks.